Written by Dominik Joe Pantůček on January 17, 2019. After some months of intensive testing and specifying all the details of the batch manufacturing process, we have given it a green light and in a few weeks, we expect to have first hundreds of Cryptoucans™ in stock. Read on to see what the final stages of testing were like. As we have shown last week, we test the soldered PCBs before molding virtually everything imaginable. From power supply voltages and currents, components temperatures, color and brightness of all LEDs and also functional tests with production firmware. The results from testing each Cryptoucan™ are stored in detailed protocol saved into our database. But not only that – as each Cryptoucan™ undergoes the testing process, we know its location and therefore we track its way all through the manufacturing process. The detailed protocol can be seen in Picture 1 below. It does not contain all the information we gather, but a human observer is able to immediately tell whether everything is OK.
Picture 1: Detailed testing protocol. And of course, it is not only the testing. 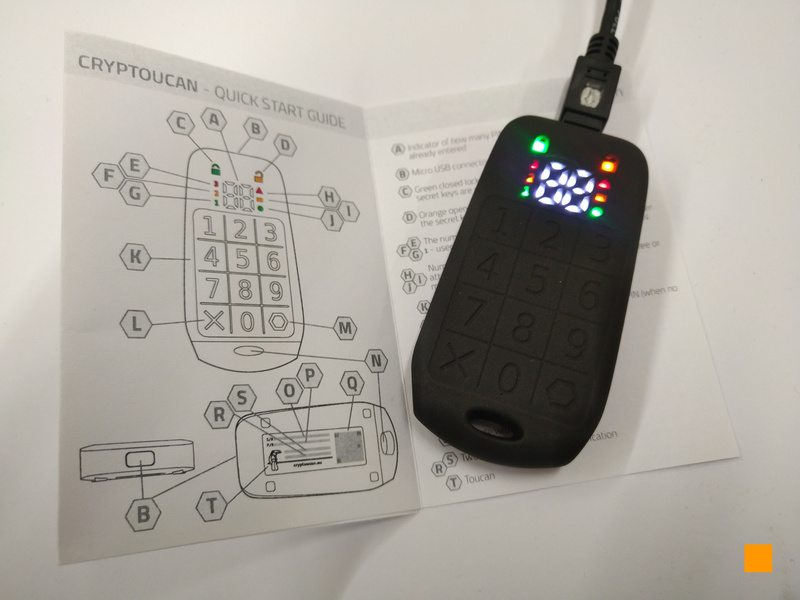 The new devices have also just arrived and we are getting ready to sell to our customers – the early adopters that have specifically requested to get Cryptoucan™ as soon as possible, no matter the price. See it for yourself in Picture 2 below! Picture 2: A Cryptoucan™ from the latest batch. And that is about it for today. As you can see, Cryptoucan™ is here and if you want to get yours early too, let me know and we will see what we can do for you. See you next week!